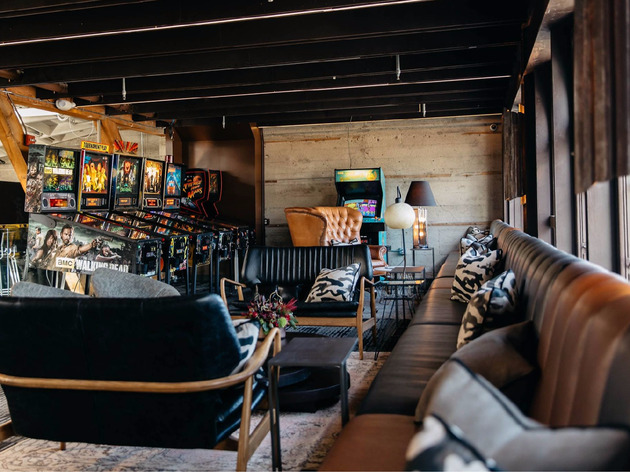 At first glance, this retro, sci-fi themed game bar is far from hidden: In fact, the glowing tunnel at the entrance and flashing pinball machines have the opposite effect. But find your way past the foosball and shuffleboard tables and climb the stairs to the second floor. 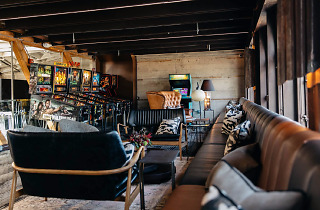 There, you’ll find a Tron-inspired speakeasy, a small, industrial-styled lounge that provides a stark contrast to the arcade-like atmosphere below. The drinks, designed by bar manager Jason Huffman (formerly of Oakland’s Blackwater Station) are simple, but thoughtful: The Konami Code is made with spiced tequila, mescal, amaretto, lime and agave, while the Super Smash incorporates rye whiskey, amaro, blackberries, lemon, orange and bitters. Even the classic old-fashioned incorporates pressed citrus oils, a fragrant touch. (“Multi-player” cocktails serve 2 to 4 people.) The menu is a work of art in itself, designed to resemble a throwback graphic novel.